ML: The authors are GM activists/campaigners and their results shouldn”t be trusted. Answer Summary: The authors are not GM activists; they are highly credentialed experts. 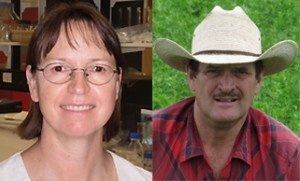 Detailed Answer: Two authors are Associate Professors in Health and the Environment, School of the Environment, Flinders University in South Australia. Another is a Senior Lecturer at Adelaide University in South Australia. Two are veterinarians, one is a medical doctor, and two are farm experts. The authors have over 60 years of combined experience and expertise in medicine, animal husbandry, animal nutrition, animal health, veterinary science, biochemistry, toxicology, medical research, histology, risk assessment, epidemiology and statistics. ML: The paper’s acknowledgements are a veritable who’s who of anti-biotech activism, includin Jeffrey Smith, John Fagan and Arpad Pusztai. Answer Summary: Two of these individuals are scientists with serious qualifications (qualifications Mr. Lynas does not possess). Mr. Smith’s acknowledgement derives from his role in fostering the international collaborations that were necessary part of the study’s completion. Detailed Answer: There were 38 people in the acknowledgement section, including an ex government Minister, an ex Chief of Staff to the Govt Minister and an ex member of the Board of Australia”s food regulator, as well as numerous scientists with more qualifications than Mr. Lynas has (as author, advisor, and speaker) and numerous farmers who were involved in the research. Mr. Lynas has picked out three people in that list of 38 and alleged that they are anti-GM activists. This is not the case. In fact two of them are scientists with serious qualifications, qualifications that he doesn”t have. The only anti-GM activist, Jeffrey Smith, is acknowledged simply because he suggested that Howard, who was seeing these effects in pigs and wanted to determine if they were scientifically real, should contact Judy who had the scientific expertise to conduct the sudy. That simple and singular action resulted in discussions between Howard and Judy which resulted in this research. This starting point was rightfully acknowledged, but importantly, the research was conducted entirely independently of all three people Mr. Lynas mentions. ML: Funding for the research was derived from anti-GM advocates and therefore biases the results. Answer Summary: Funding for the study was actually derived from a current supporter of GM technologies. Detailed answer: It is clearly stated in the paper that the major funder of IHER”s involvement in the study is the Government of Western Australia, and the current governmentt is a supporter of GM crops. With regard to IHER’s previous work in opposing Bt brinjal in India and CSIRO’s GM wheat in Australia, IHER conducted a thorough review of the evidence presented and concluded that there were serious safety concerns about GM brinjal and CSIRO’s GM wheat. The organization opposed the release of these based on a review of the evidence, not on ideology. ML: All the animals were in very poor health. Weaner mortality rates indicate inadequate husbandry standards, and higher rates of abnormalities of the heart and liver in non-GM fed pigs were conveniently ignored. Answer Summary: Mr. Lynas does not appreciate the role of statistics in ascertaining scientific certainty. Detailed answer: Mr. Lynas is incorrect. These are not the mortality rates for weaners. The rates presented are for the entire lifespan of the animal. Furthermore, animal husbandry was the same for both the GM and non-GM fed groups. This effect has been randomised-out as an effect on the results. 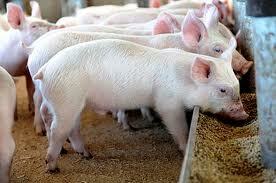 Therefore, animal husbandry is not a factor in the difference between GM and non-GM-fed pigs. There are hundreds of numbers in the paper. Mr. Lynas has “cherry-picked” a few of these numbers that were not statistically significant and tried to allege that they are. Carman et al only discuss statistically significant findings because this is the scientifically credible approach. GM-fed animals had smaller livers, more pneumonia and more abnormal lymph nodes, but the researchers did not make any statements about these findings because they were not statistically significantly different when compared to non-GM fed animals. ML: The authors used “statistical fishing” in their interpretation of the results, clearly attempting to skew or exaggerate their findings. What visual evidence is presented is done so to justify this statistical fishing experiment. Summary: The authors executed careful and comprehensive statistical analysis to answer two hypotheses that had been generated by previous observations by the researchers in the U.S. piggeries. Detailed answer: The authors performed statistical tests on all of the parameters that Mr. Lynas mentions, and none of them were found to be statistically significantly different. These analyses are clearly presented in the paper. Mr. Lynas either did not read the paper well enough or saw the analysis but did not understand them. 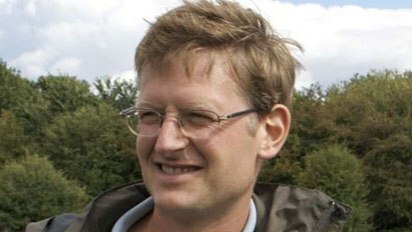 The counter argument from supporters of Mr. Lynas suggests that the study was not designed to test and statistically evaluate a sole hypothesis. If the authors had measured just the variables associated with the hypotheses being specifically tested (stomach inflammation and reproductive problems) and nothing else, few statistical tests would have been done and little to no statistical adjustment would have been suggested. The significant results that the authors found around the hypotheses that were tested should not be made invalid simply because the authors took some other measurements. Furthermore, the level of inflammation in the non-GM fed group was concentrated in the mild to moderate range of inflammation. 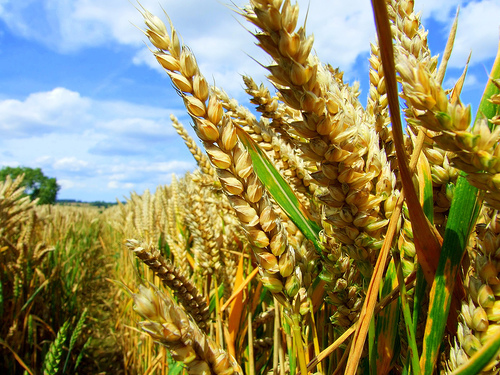 Feeding GM crops boosted that to severe inflammation, and this was a significant finding. Importantly, inflammation is a graded variable; the more inflammation, the more biologically impactful it can be to the animal. So, you cannot equalize the biological consequence of nil or mild inflammation to severe inflammation. Doing so goes against scientific knowledge on the effects of inflammation. ML: This study subjects animals to inhumanely poor conditions. Summary: The pigs in both groups were treated equally, humanely and within commercial piggery standards. Any assumption otherwise would be contesting the standards of the U.S. government and should be directed as a complaint to U.S. legislators. Detailed answer: Pigs in commercial piggeries are not like laboratory animals that are raised and housed in specific-pathogen-free environments, sometimes only one animal to a cage. On the contrary, pigs in commercial piggeries are part of an industrialised food chain. Pigs are born in commercial farrowing facilities housing many sows at a time. Once weaned, pigs are housed communally in large pens. The result is a real-world experiment that is closer to the interactive, infectious-disease-transmitting and messy school yard than than the more controlled environment of a laboratory animal house. Commercial pigs can and do get infectious diseases and there are indeed a number of infectious diseases that tend to occur in US commercial piggeries. Furthermore, pigs fight, bite and harass each other. As a result, some pigs, particularly runts, can, and do, die. 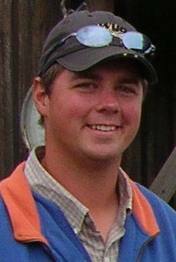 Piggery owners expect some pigs to die and they factor this into their financial returns. Indeed, if no pigs had died in this study, many US piggery owners would have found our results rather incredible. The number of pigs was essentially the same between the GM-fed and non-GM-fed pigs. All pigs that died underwent autopsies. In all cases, death was found to be due to things such as infectious diseases, ie things that were piggery-related. At no time did any pig handler or veterinarian note, or autopsy indicate, that there was anything treatment-related associated with any pig”s death, including intestinal or stomach problems. Moreover, the number of deaths were the same between groups, which adds weight to the evidence that there was no treatment-related aspect to these deaths. 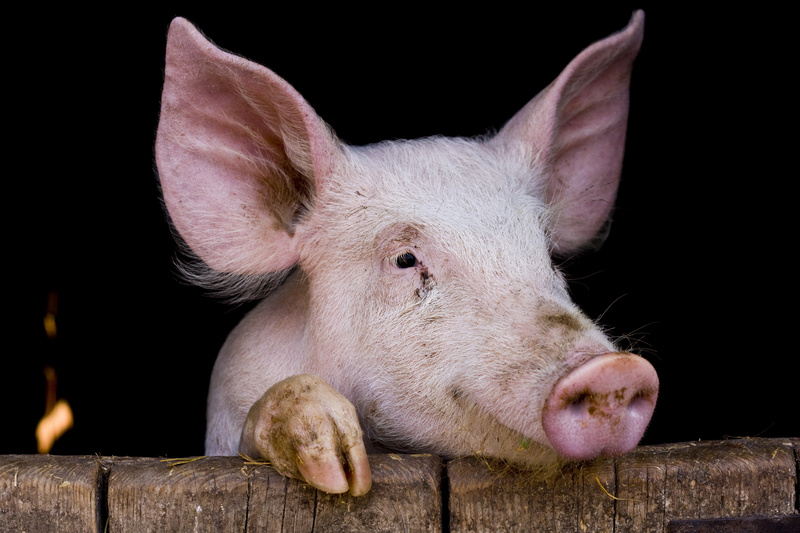 All pigs, regardless of dietary group, were fed and treated the same way by experienced pig handlers that were blinded as to the dietary group of the pig so that any differences between the two dietary groups can only reasonably be due to the effect of the GM component of the diet. Whereas we all know that PRO GM activists are impartial, rational and completely trustworthy?. A 6 year old couldn’t come up with a more embarrassing and lame attempt to denigrate DR Carmen. I wonder why we are expected to take seriously the views of Lynas on a study conducted by experienced scientists and published in a peer-reviewed journal. Lynas isn’t even a scientist and seemingly has no knowledge of toxicology, public health, or statistics. Apparently he has difficulty with the most basic logic: if he wants to argue that the pigs in this study were kept in inhumane conditions, he needs to take on the entire commercial pig rearing industry and those regulators who set the rules for the industry, not just attack some scientists who are doing a study in these conditions! It’s not hard to understand this, is it? Do you think it’s a sign that the GM industry is utterly desperate, that they have to put their message in the mouth of this person? I wonder if he is just cannon fodder in that the GM industry gives him their half-baked talking points, and if at some point enough of the media and public realises that he talks rubbish, they just chuck him in the bin. They’ve lost nothing and their reputation emerges unscathed — as after all, he’s just a writer with no knowledge in this field. No matter what the critics say, I am a mother with personal experience with GMOs. My child has been GMO free for about 3 months now. She had a “relapse” at school when she accepted a treat offered to her. After which, she experienced stomach cramping, nausea, running off the bowels and eventually vomiting. This is all the proof this mom needs to know that GMO foods are harmful to my children! angry mothers are my best friends, and there needs to be lots more of them. Dear Dr. Carman and colleagues. Thank you for your research. A scientist mentioned that your study is one of the best in the field but flawed because the control corn was not isogenic relative to the GM. Can you explain your logic? Sounds like Mr. Lynas has something against natural. I could shoot so many holes in any paragraph he spews forth. Try living on the (previously gorgeous) Garden Isle of Kauai that is ground 0 for biotech testing and tell me they are good neighbors to the schools and hospitals nearby and good stewards of the land itself they poison with all the chemicals they spray. Remember, if it’s still being “tested” after 2 decades, it means they don’t exactly know what they are doing. There is a reason so many countries have banned this technology and terminator technology didn’t happen for a reason. Mr. Lynas is not telling the whole story or both sides of anything. Which one of the biotechs paid him to change so? Feeding the world is not what they are up to. I challenge him to come to Kauai and debate this subject with people who have to live with it in their backyards. Mr Lynas & his ilk are forgetting something very important, we won WW II, and the reward for winning WW II is informed consent. He has convinced himself as have others that violating my informed consent is not violence, and he is incorrect. These pro GMOers are risking more than opinions and don’t know it, or for a few dollars more do not care.